The economic recession has had an increasing amount of people become displeased with their banks. All the high interest rates, credit card fees, and poor customer service leave the people insisting on change. If you pay your balance fully and on time every month, you will never have to pay interest or fees. Rather, you will be earning interest on this cash that you’ve held onto from the point of your purchase, until your statement becomes due. That comes up to 50 days in interest gains! Furthermore, you can register online for straight away access to your account information. You should log in often to make sure you’re not spending more than you can afford, and make sure to fully pay when your statement is due. You can even set up an automatic payment plan so you won’t miss a deadline. If you’re not able to pay your balance fully every month, but are still reducing your total debt, you should be able to take advantage of the perks the credit card has to offer. However, you obviously don’t want to increase your debt. If you only have one card, debt is already upon you; focus on paying off that card before opening new accounts. If you do however, have more than one credit card, you can continue to pay your existing debt without being tied to interest on new purchases. The trick to this is to keep one card “clean” by paying this card’s balance fully every month. When paying a card off each billing cycle, interest and fees are avoided. However, if you charge new purchases to cards already having a balance, it doesn’t work. When carrying a balance on your card, you provoke interest on your new charges to that card when you make a purchase. Therefore, if you pay the balance on the “clean” card fully every month, this card can be used without worrying about being subjected to interest on your purchases. Make sure to never spend more on this card than you can pay for fully, meanwhile paying more than the minimum on the cards you own that do actually carry a balance. Furthermore, do not make purchases that are not essential while in debt. 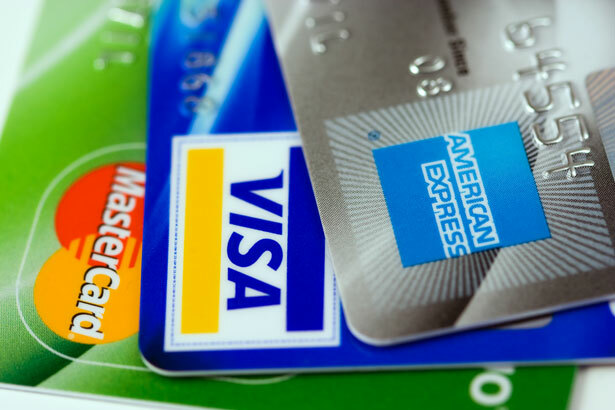 If you still cannot limit what you are spending with your credit card, the solution would be to pay for things in cash or debit rather than credit, while paying off debt. Fully paying for your balance ever month ensures you are getting a free loan from your bank starting with the time of purchase to the due date of that payment cycle. It is now required by Federal Law that banks offer a 21 day grace period between when your statement closes, and when your bill is due. Therefore, if you make a purchase lets say the day before the closing date of your cycle, you will still have 21 days to pay for it before you are subjected to interest. However, if you make a transaction the day after this cycle closes, you will have another month, and on top of that, 21 days to pay off your balance. Furthermore, when getting towards the end of your cycle, holding off on major purchases will help you. If you delay your spending, even by just a few days, you can gain a month until your payment is due. lastly, credit card companies intend on making money. Their tactics can involve taking advantage of customers. Therefore, don’t use your cards without thinking. Learn about fees, and pay your balance each month in order to avoid interest. Look into perks that your card offers and take advantage of them, and finally, make smart purchases.